Rehearsals take place in Mary Immaculate College, South Circular Road. Rehearsal schedules are in two semesters, January – June and September – Christmas. 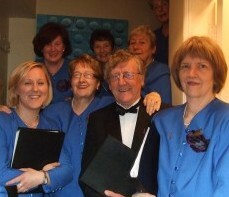 Choir rehearses on Monday evenings from 8 – 10pm. In the lead up to a concert, it is normal practice to have a second weekly rehearsal, generally on Tuesday evenings.